Looking to decorate your classroom and add a personal touch? 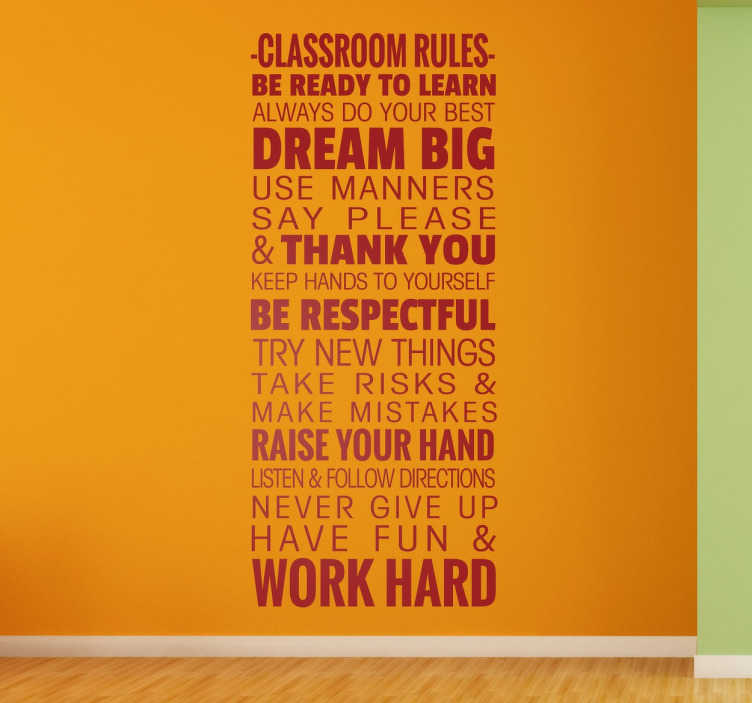 Why not use this wall sticker of rules for the classroom. The rules include "Be ready to learn, always do your best, dream big, use manners say please and thank you, be respectful, try new things, take risks, make mistakes, raise your hand, listen and follow directions, never give up, have fun and wok hard!" Like many of our stickers this design is available in various sizes and colours.